Do you know what XM cashback rebate is? Cashback is an opportunity to lower your trading costs. In order to participate in this opportunity you need to open a Trading Account trough our website with XM and you can start gaining rebate based on your traded volume. After every closed position you gain rebate, regardless of whether you win or lose. You can lower your trading costs with FxRebateservice. You get rebates even if you lose on your trade. Our company provides the attainable highest rebates compared to similar XM cashback and rebates sites. What kind of rebate can I receive based on my trading? After closing each position which was held for longer than 5 minutes on the Standard and the Micro accounts is $8.5/lot for all currencies this will be accounted in the system of Fx Rebate Service for the Zero accounts this will be $4/lot for all currencies. For Gold and Silver trades on Standard and Micro accounts the rebate rate is $12/lot. Currently you can choose from PayPal, Neteller and Skrill payment methods on fxrebateservice.com website. In the future, we are planning to implement other popular and secure payment methods too, e.g.banktransfer, Webmoney etc. How can you benefit from FxRebateservice? You have to open a NEW trading account trough our website for the FxRebateService service. If you are an existing client of XM you can still apply for our rebates, by opening a new trading account. After you opened your trading account, send us your MT4 account number for confirmation. 1. Visit and register for free at the fxrebateservice.com. 2. After the registration, on the fxrebateservice "My Account" page, click on the "open a new account" button. 3. Then you just have to open a new account on the XM website. If you do not already have an XM account, than registration is required for opening the first account. If you already have an XM account, sign in to your XM account and open your new live account. 5. Once we have verified your account, you can start trading as usual. 6. 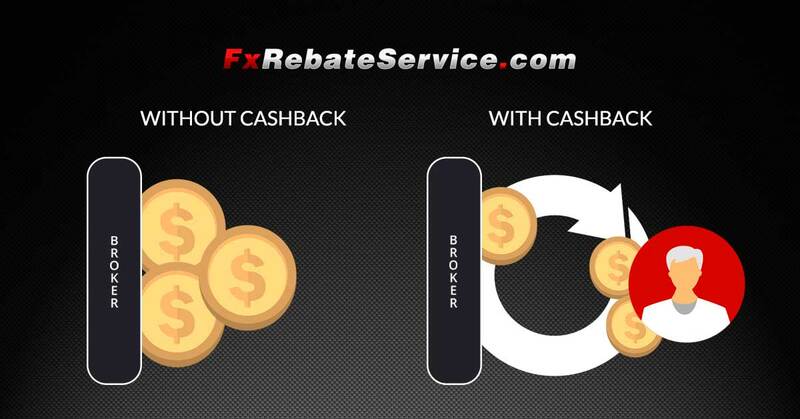 After each closed day (GMT), we will credit your rebate on the FxRebateService account for the next 12-24 hours. 7. You will be able to see your current accumulated rebate in the FxRebateService system. 8. Select your account and click on the "submit" button.